Taylored Expressions February Stamp of the Month Blog Hop! Hello! It's time for the Taylored Expressions Stamp of the Month and Key Ingredients Blog Hop! We have another super fun set for you this month called Birthday Bash! It's full of several fun birthday images and this whimsical "Happy Birthday" sentiment. This month's Key Ingredients Kit contains dp from the We R Memory Keepers Hip Hip Hooray collection. LOVE IT!!! There are some amazing coordinating dies for this set called Party Time. There are 10 dies in this set and they are fabulous! 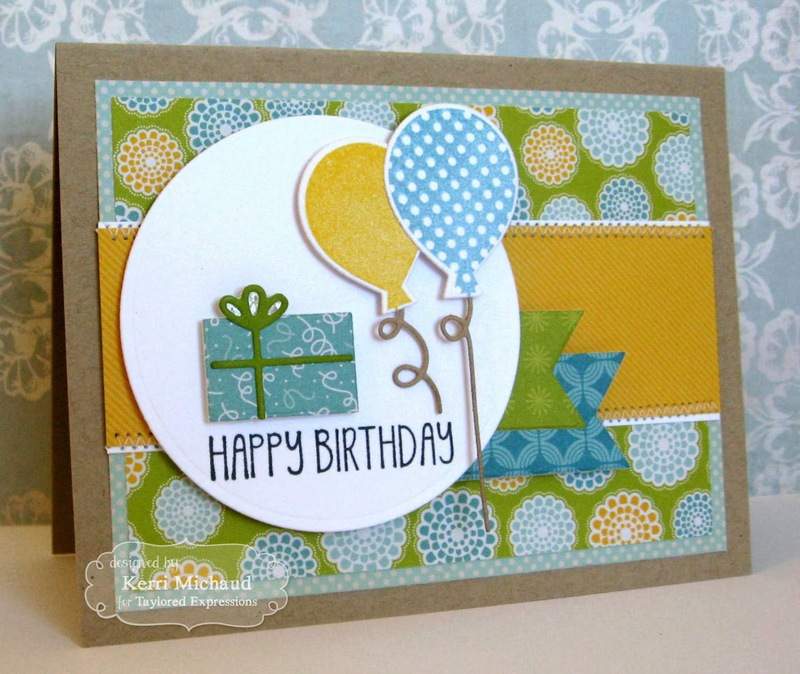 For my card, I stamped the balloon images and cut them out with the coordinating Party Time Dies. I also used the dies to cut the balloon strings and the gift/bow. I used the Deconstructed Sketch #137 for my layout and cut the flags with the TE Banner Stacklets 1 Dies. Here is the hop list so you can hop along and find lots of inspiration using this month's set! Fabulous card, Kerri! Love the mix of patterns you combined on this festive card! What a fun card Kerri. Love the papers you used and the sweet image. The stitching looks great. 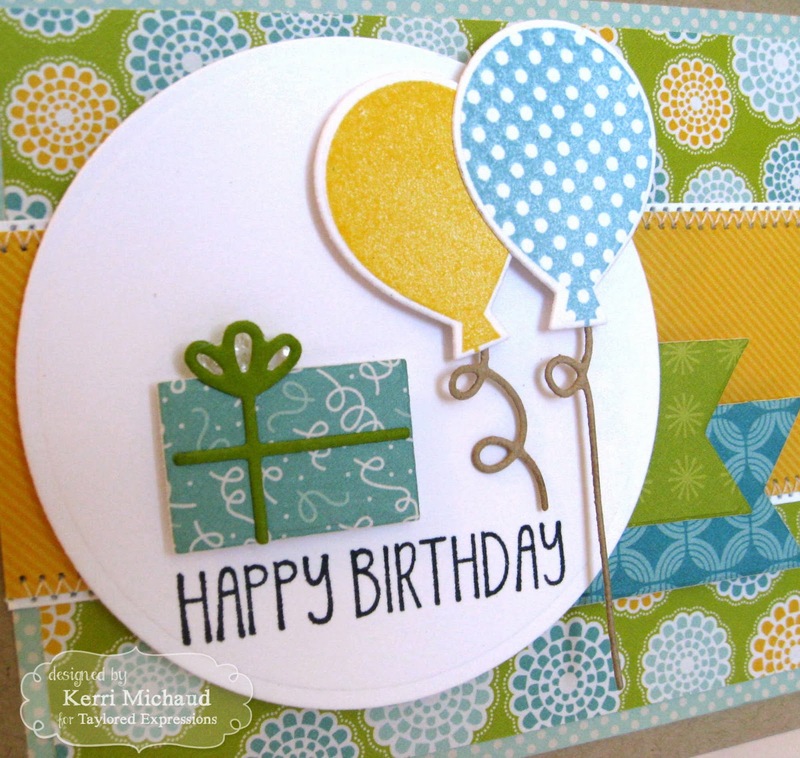 I just love the combo of papers you used, Kerri, and what a fabulous sketch...love every little detail!!! !